Happy February, Place of My Taste readers! 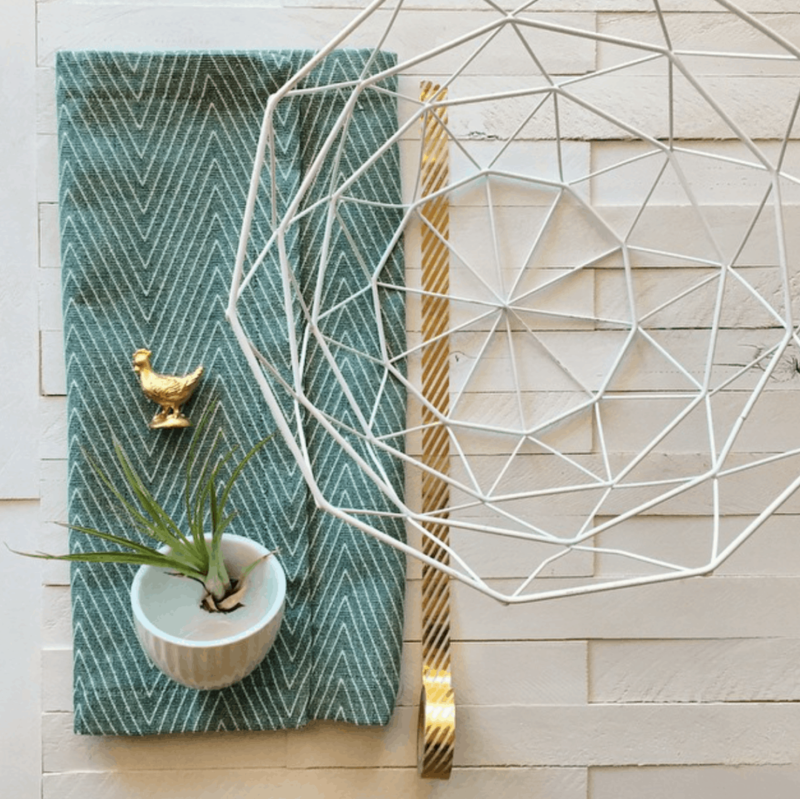 It’s Amy from Delineate Your Dwelling, a creative DIY blog. I’m so thrilled to continue being a contributor blogger for Aniko. Today am sharing one of my first projects on a longtime coming, master bedroom update. 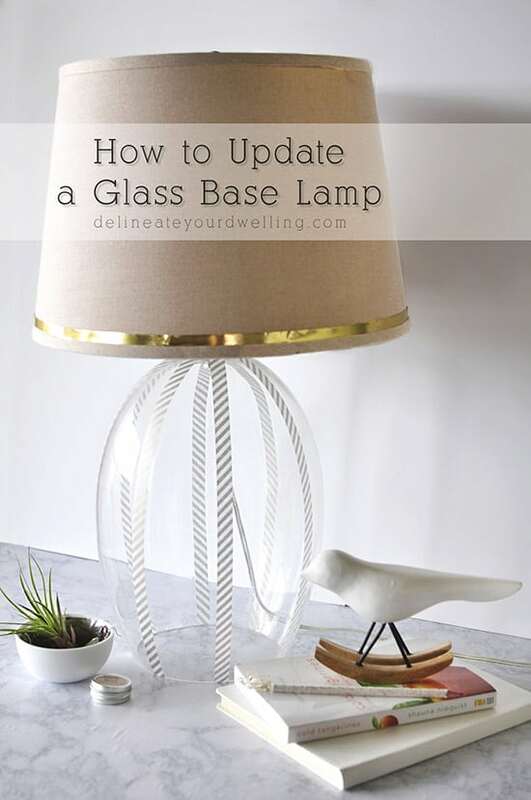 I am sharing How to easily update a Glass Base Lamp. About seven years ago, the hubs and I bought these lovely glass based lamps from Potterybarn. I loved their simple and classic look… and seven years later, I’m wondering why I’ve kept them around for so long! They are SO vanilla. 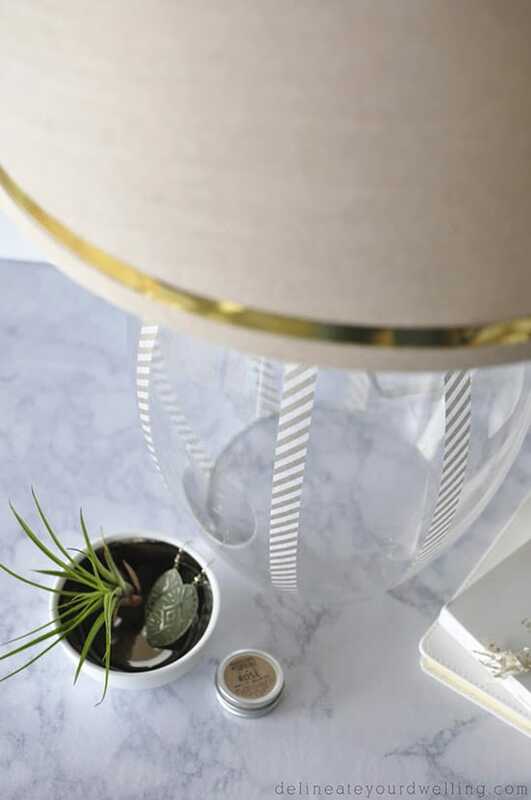 A tan shade and a clear glass base, it really doesn’t get more ordinary than that. 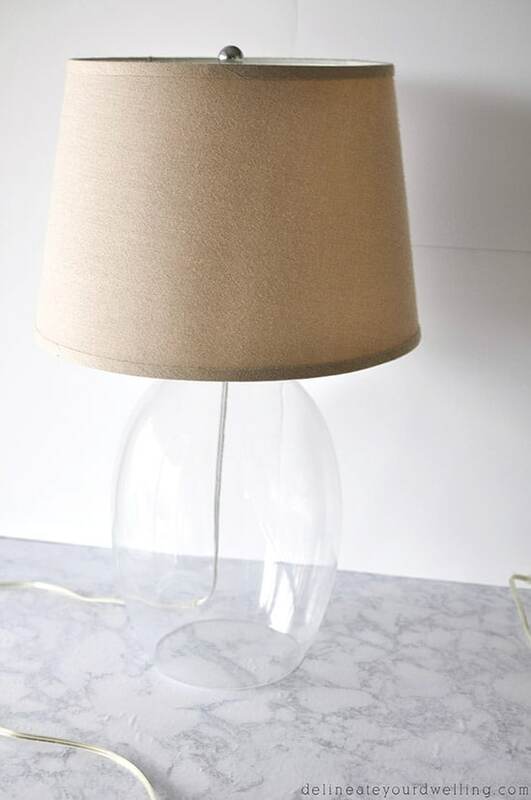 I do not like tossing out perfectly functional lamps and buying new ones, so I decided to give my blah lamps an easy and non permanent update! Here is what I started with (below). I’m embarrassed to say, it’s been about seven years since I took the lamp shade off and really gave these lamps a good deep cleaning. The back of the shade was pretty dusty, but nothing a little windex and elbow grease couldn’t resolve. 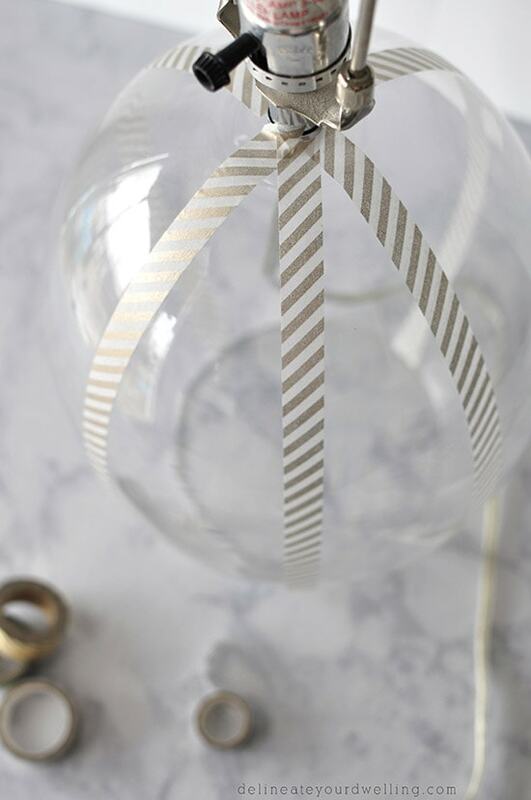 I pulled out my gold washi tape stash and ended up selecting a gold and white striped tape. I knew if my husband was going to get on board with this idea, I needed to stay a little more conservative but the stripe added the interest I was looking for, too. 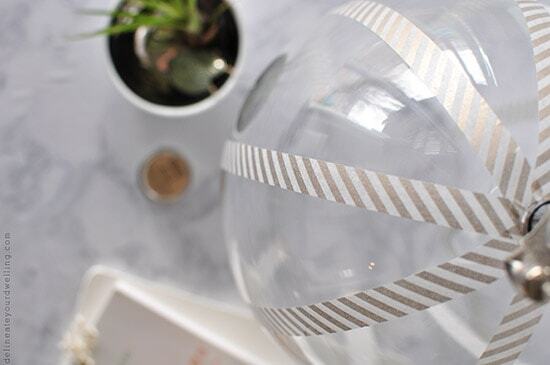 I spaced the stripes about 4-5″ on center around the widest part of the glass base. I also added a thin metallic gold ribbon along the lamp shade bottom. I’m on the lookout for a new shade due to some damage on the back, but for now even this little update makes a big difference. What do you think, are you an update or a buy new kind of person? I shared this little sneak peek of Master Bedroom inspiration on Instagram last week. If you would like to keep up to date with all the new master bedroom projects, be sure to stop over and say hello at Delineate Your Dwelling! You can also follow me on Pinterest or Facebook. I am definitely a use what ya got girl! And I love washi tape! I spy a HL bowl/basket….I have eyed that thing forever and have no idea why I haven’t bought it! Washi Tape solves all problems! Thanks for the comment Beth. 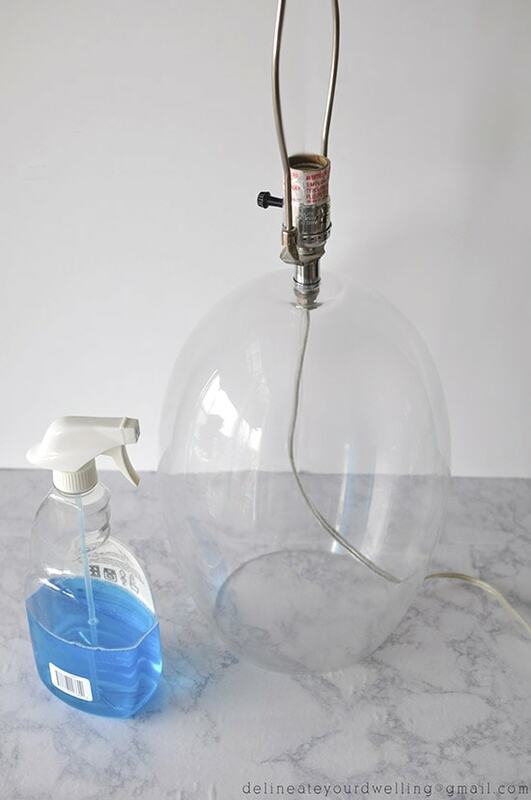 What a great idea…who says our lamps don’t need to “dress up” occasionally! MIne will now thanks to your great idea, thanks! Thanks for the comment, Valerie! 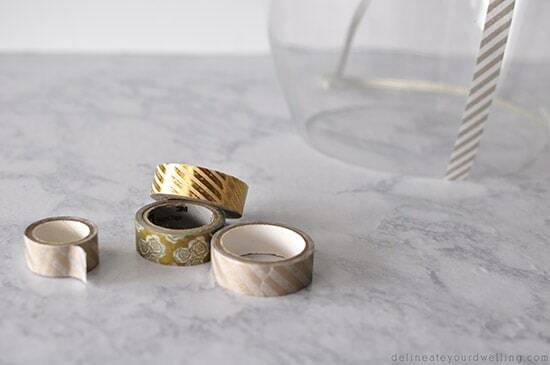 And I love that when I get tired of the washi tape design, I can simply remove the tape and there is no harm done!